The year is 1807. A man is walking along a leafy promenade in Metz, an ancient city in northeast France. His name is Alexandre Lenoir and he’s the director of the Museum of French Monuments in Paris. He’s also passionate about medieval history. 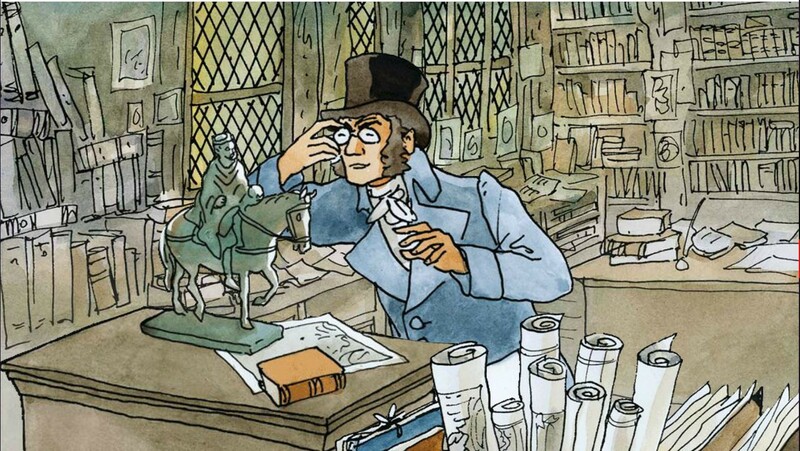 Lenoir decides to pop into a nearby bookshop. Whilst browsing, he comes across something most unexpected — a bronze statuette of a man on a horse. He’s very intrigued by it, but unfortunately the bookseller knows nothing about its origin, only that he bought it from a visitor. Lenoir buys it, regardless, and cheerfully takes his discovery home. Flash forward to modern-day Paris. 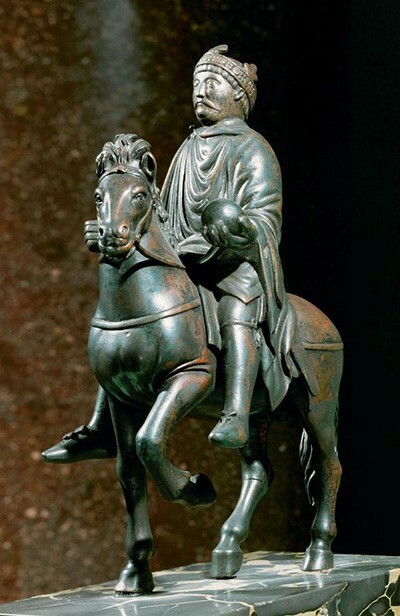 In The Louvre’s Decorative Arts department you’ll find many interesting objects on display, but none more so than a priceless 9th century statuette of Charlemagne or Charles the Bald sat astride his steed. The same happy discovery that was made by Lenoir 210 years before, in a little Metz bookshop. An unexpected and wonderful find, now displayed in one of the eight curatorial departments of The Louvre. This extraordinary museum contains more than 380,000 objects and displays 35,000 works of art at any time. To determine which objects to show visitors, curation comes into play. Equestrian statuette of Charlemagne or Charles the Bald, in The Louvre, Paris, France. Seeing the added value when you visit The Louvre isn’t difficult. The curated result prevents you from becoming totally overwhelmed by a disorganized maelstrom of artefacts from across time. Standing in the largest museum in the world, you’d assume there was a degree of guidance. The Louvre has been selecting and arranging since the early 19th century. Sixty curators work across eight departments, each with its own head curator. They are doing one heck of a job at adding value to the experiences of every visitor. Curation has since moved beyond the world of museums and art galleries, with increasing prevalence online. There are amazing human curators delving into what’s available across the web, like NextDraft’s Dave Pell, the team at BoingBoing and Maria Popova at Brain Pickings. These experts select and arrange in their own unique ways. Similarly, editor choice within your media website is a great enabler for your brand, expressing your view on what matters most today. Each visitor, in turn, brings their own goals and passions. In order to connect with visitors on this individual level, personalized offerings have quickly become the norm in online services. To help your visitors discover content based on their personal whims, goals and passions, the output of the algorithms should be precisely as their name suggests — recommendations. As in The Louvre, you’re not forced to sit en masse and gawp at a conveyor belt of cherry-picked items. True agency also builds trust for your brand. Automated solutions that only push your visitors elsewhere, are more likely to curate advertising than quality content, which will result in a shallow experience. Add depth to your content experience. Embed a recommender system that enables audience agency and allows your visitors, or regulars for that matter, to have their own unexpected and wonderful discoveries. Many thanks go to Michael Bhaskar who wrote a marvellous book that inspired this story. Bibblio is a content recommendation platform that helps content businesses and publishers deliver more relevant and engaging discovery experiences to their users. Visit us on Twitter, LinkedIn and Facebook. Posts about media, publishing, learning and better content recommendations for people.